I went to Sittlingi to photograph Lalitha and Regi for Unsung. I was curious to see how they lived and the work they did. The hospital is very basic but that’s one of the things that really works – it’s a part of the environment and fits in well. It does not intimidate the locals. My visit coincided with the OPD days at the hospital and I saw people come by the busload. They were wearing their best clothes even though many of them were sick! They brought along entertainment too – radios, mobile phones loaded with music, relatives to while away the time with… they were really the most un-anxious patients I have ever seen. Many of them were visibly ill – there were fractures, deep wound in the arm, headaches, bodyaches, vomiting, fever and yet arriving at the hospital seemed to have brought a reassurance already They seemed secure that their ailments would find a cure here. Regi and Lalitha are genuinely sweet and caring. They know most of their patients, fam­ilies, extended families and even neighbours. They happily share village gossip and take the time to joke about things. Despite being frantically busy, they seem to have the time to spend with every patient. They are a big part of the local life and the trust and acceptance on both sides has been sig­nificant in making the hospital work. It certainly hasn’t been an easy ride for Lalitha and Regi. When so many medicos in India choosing to pay out their rural term, here is a couple that chose rural India over a more lucrative life in the city. When they had children, there were no schools in and around Sittlingi to send them to. For a year Lalitha and Regi homeschooled their children after which they managed admission at Rishi Valley, a boarding school run by the Krishnamurthi Foundation. Their choice of work has indeed demanded several sacrifices of Lalitha and Regi but in staying committed to their decision to provide medical care for the people of Sittlingi and the surrounding areas, they are offering a model that can and should be implemented by doctors with a conscience. 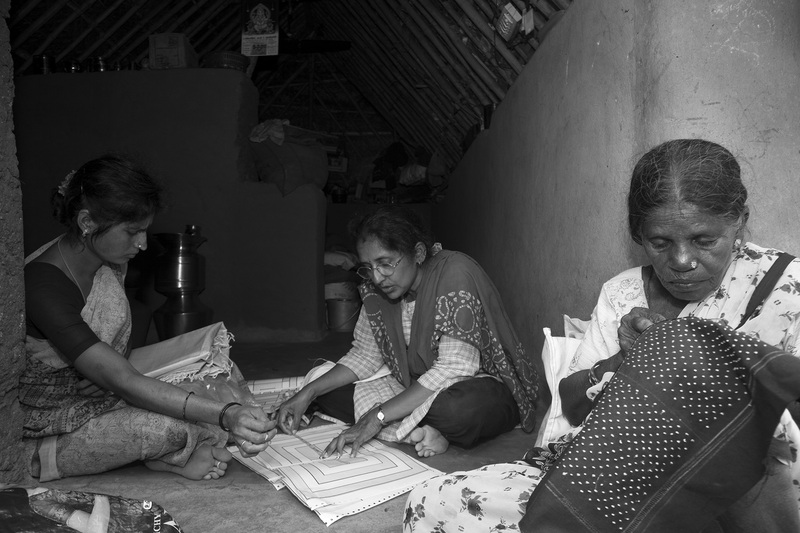 In Sittlingi, Lalitha and Regi live comfortably and fairly frugally. Their moments of peace are in the afternoons when they stop for a cup of jaggery-laced coriander tea. The hospital has ex­panded in these last years. A few doctors have arrived at Sittlingi to share Lalitha and Regi’s vision for rural medical care. 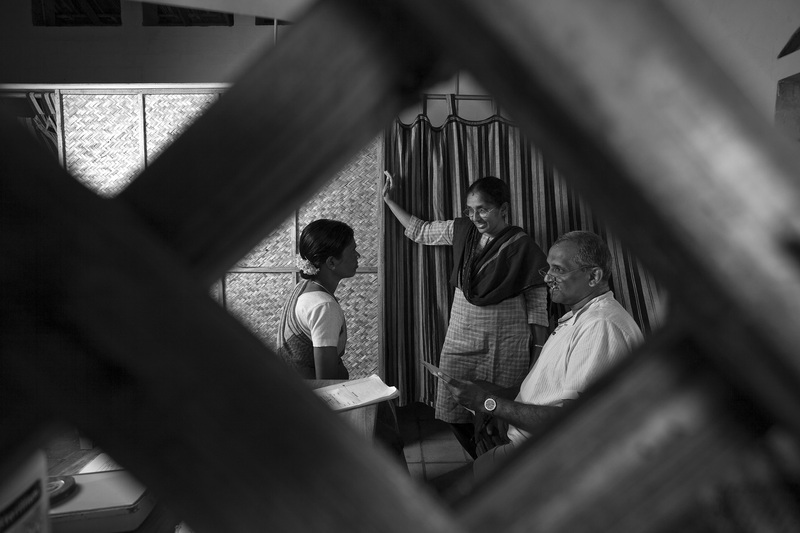 Donations that have once kept things going are slowly trickling down and Regi and Lalitha know and understand that the future lies in exploring a self-sustaining model. When I see people like Lalitha and Regi, people who have put their creature comforts aside in order to serve people, I can’t think of calling them anything but heroes. There is much talk of the gaping disparity in India. We are growing as a economic power but the disparity is wors­ening. Tribal land and forests are being encroached even as in the name of development we teach them to watch television, use the cellphone and eat 2-minute noodles. And in far-flung Sittlingi, almost oasis-like, is the tribal world that has been cared and protected by Lalitha and Regi George. It is a sunny, languorous morning at Sittilingi and the colourful moffusil bus squeals to a halt in front of a cluster of tiled buildings, disgorging a horde of people and a spurt of chafingly hot fumes. The sign reads “Tribal Hospital”. A pregnant woman, a man with a broken limb, an obviously undernourished child – a jumble of assorted conditions has arrived at the hospital gates. Inside, it is just another day. An outpatient session is underway inside the main building where the khadi-clad, chappal-shod doctor couple Regi George and Lalitha Regi and their assistants briskly examine patients. A patient ushered into Lalitha’s room has trekked 7 kilometres and changed two buses. He needs sutures for a deep gash on the foot. Regi examines a young child with an uncoordinated walk. 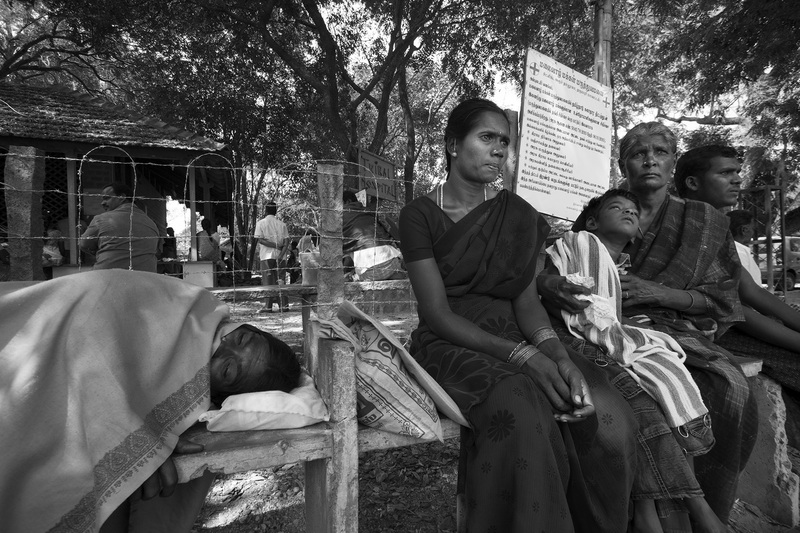 Outside a group of 200 patients – women in bright saris and flowers in the hair, and men in pressed whites – wait for their turn, passing the time in muted gossip or listening to music wafting from a cell phone radio. Many are malaivasi, or hill folk, whose ‘tribal’ identity card and nominal 30-rupee insurance guarantees them medical care for an entire year. It will be five or six hours before some of them get their turn to see Gi or Tha, as the doctors are fondly called. But nobody is in a rush. The 24-bed hospital located in the Sittilingi Valley in Tamil Nadu’s Dharmapuri, nestles in the Eastern Ghats seemingly in the middle of nowhere, providing succour to the pregnant and the sick. It is the visible face of Tribal Health Initiative, the doctors’ trust that works for the health and overall welfare of the tribal communities. It is their way of recognizing that medical costs are a leading cause of rural indebtedness. Most facilities for tribals are free, or nearly so. Treatments for non-tribals too are a fraction of the cost in big cities. Then, the initiative goes beyond to include a community health programme, an organic farming initiative and a craft initiative, all staffed by tribal locals. The story of how the Tribal Health Initiative came about dates back two decades to the winter of 1992, when the doctors arrived at the picturesque village in search of a needy, isolated location. Sittilingi is a mere four hours drive from Bangalore but is in a neglected tribal area far removed from the district headquarters. Even today, parts of the hill belt have no roads or bus service. There are hardly any teachers or doctors there. The friendship thrived despite family opposition. But for their partnership, the tribal initiative would never have come about. The duo graduated in 1983. Rebuffing the popular going-overseas path, the two chose Gandhigram in rural Tamil Nadu where Lalitha trained in gynaecology and Regi in surgery. After finishing post-graduate medical studies, they married in 1987. 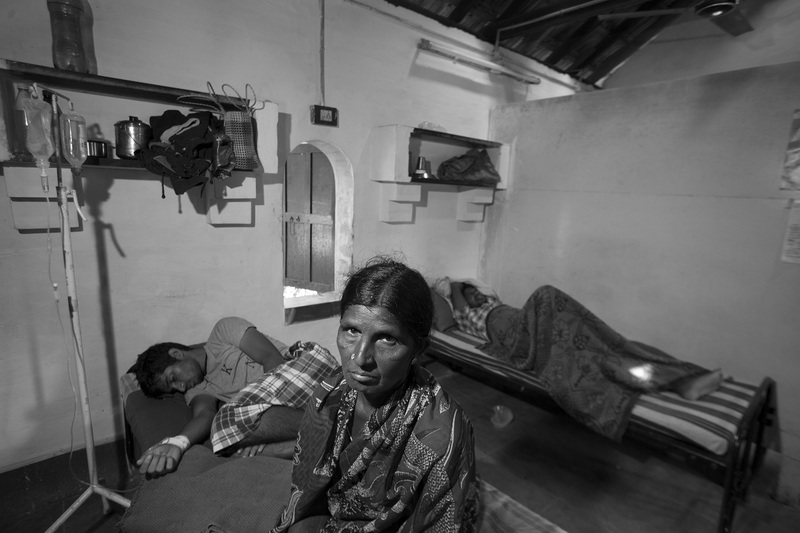 At the 200-bedded Gandhigram hospital, where they returned, the lines of the sick poor were as unending as before. “It was like a bottomless abyss,” said Lalitha. But Gandhigram was not ‘their’ place. Regi set out to backpack through India to discover the remotest, poorest tribal areas. Almost the first place he touched was lush Sittilingi Valley, surrounded by beautiful hills. Here, death and disease stalked every tribal village. The nearest working hospital was in Harur, 50 kilometres away. Sick tribals commonly visited witch doctors. The doctors decided that Sittilingi was it. They formed a trust and solicited donations. Rather than waiting for funds to come, they started building a hut. The thatched ‘hospital’ came up in 1993 with one closed room and another longish space with a half wall. Towards end-1993, with funding from ActionAid, they started treating the stick with a few basic medicines. Word about the couple spread at the weekly shandy but nobody would believe they were qualified doctors. Real doctors did not come to Sittilingi, the tribals said. They stayed in the cities. The hut was a surgical ward and a delivery room, an all-in-one. There was no electricity so solar lanterns came in handy. Patients arrived in a trickle. A bus service started some years later. “Whatever happened in the lives of the people between the intervals of the bus trips, just happened. We could not help them,” said Regi. Women went into premature labour. Some gave birth to still-borns. Sick people died. If patients reached their doorstep in an ‘ambulance’, a sheet tied to two bamboo poles, the doctors took charge. A dramatic event changed everything. One morning, an agitated tribal cycled in screaming. His wife was very sick and had not passed urine for days. The doctors had heard of the huge diarrhoea epidemic in the surrounding villages. Lalitha immediately got on the bicycle. When she arrived, the woman was lying on the floor dehydrated and barely conscious. The villagers insisted on ‘oosi’, an injection. Lalitha put her on an IV drip instead. Six hours later, the woman sat up and talked. It was a striking recovery. The word spread in the villages. Those who came to the tribal hospital walked back home. Those who went to th quacks nearby died. “They said they no longer needed to travel hundreds of kilometres to find a periya (big) doctor, we were the periya doctors,” said Regi. Scenic Sittilingi is the kind of place where nothing happens in a hurry. A villager leisurely strolls into the bus stop at 8.35 for an 8.30 bus, closely misses it, and has no problem a t all waiting for the next bus which is after four hours. In these parts, a lot is dictated by the sighting of the bus. The workers in the fields break for lunch when they see the bus go past. Its return trip is their cue to resume work. People take their medicine by bus timings. Three tablets a day usually means at the time of the morning, noontime and evening trips. In Sittilingi still, there are hardly any MBBS doctors. But quacks thrive and travel in posh cars. There are three primary health centres in the vicinity but only one has a doctor. 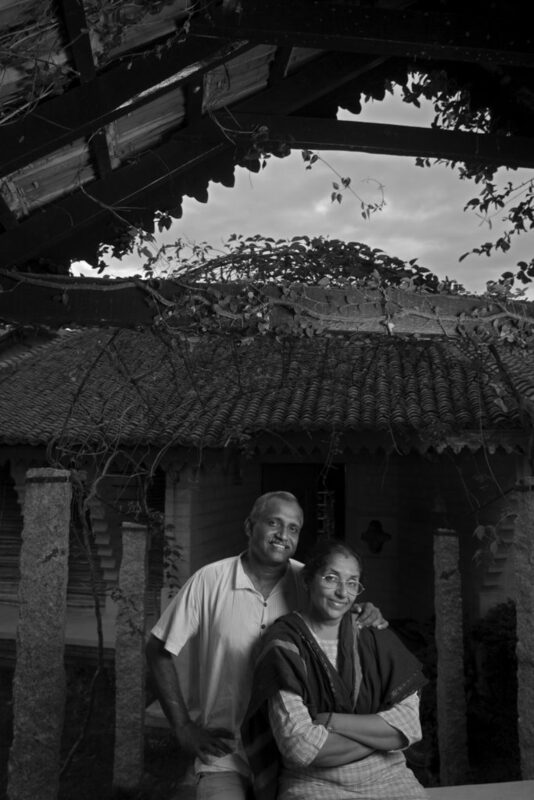 Regi and Lalitha soon concluded that they needed to be involved with tribals ‘not just in sickness but in health too.’ In the Valley, where tribals had long been self-sufficient for food, the poor quality of the cheap rations distributed by the government PDS was wreaking havoc on their health. 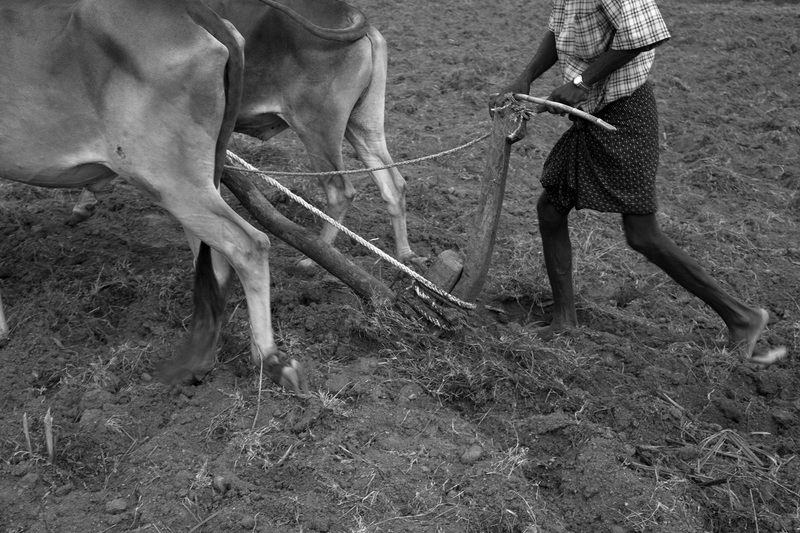 The doctors propagated farming and a diet of traditional locally-grown millets. By 1997, the hospital started conducting caesarean sections. The doctors trained young tribal girls to be health workers and assist them in the deliveries. The girls picked up English and hygiene. To teach them practical aspects of anatomy, the doctors used dead chicken. The girls learned fast. Soon, they were cycling around the hills by themselves and to the nearby town. They looked capable and confident. It was a social change.